Home / Outside Owl has a super cool sttichguide! 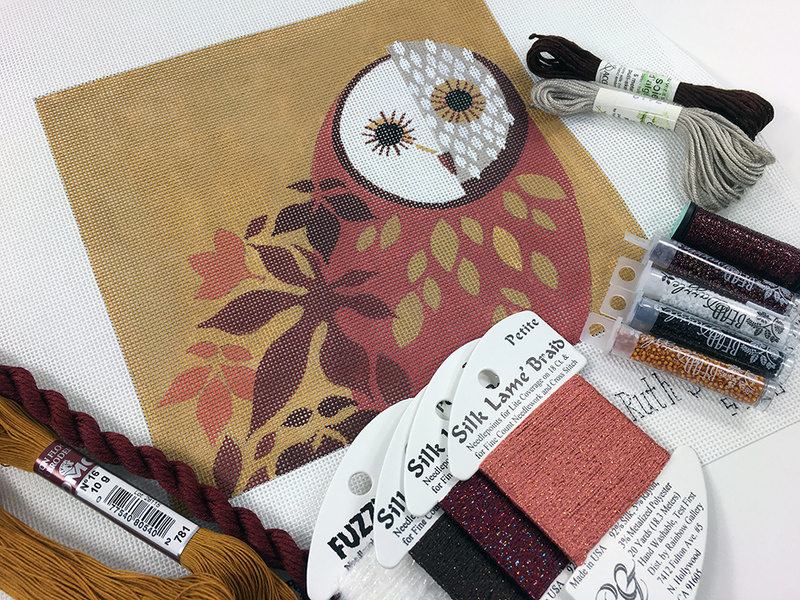 As summer winds down and we start thinking Fall, I thought now was a good time to mention that Outside Owl by Eleanor Grosch now has a stitch guide! What a sweet owl! And just wait until you see what I came up with for the background. Love it! I’m not stitching this but when someone does, I will be certain to post it. If you would like to order a little owlet, here’s the link. Or give us a call at 410.296.0405. Speaking of which, you know we love to see your finished stitching of our canvases or stitch guides. Feel free to share on facebook or instagram, and tag me in it or email to me so I can ooh and aah! « Previous: A big wonderful dragon. Oh my! Does the stitch guide come with the canvas? If not, how might I purchase it with the canvas? Thanks! Yes, if you order the canvas, the stitchguide is included at no additional charge.